Riding a motorcycle can be thrilling and provide a feeling of freedom that rarely comes with other activities. However, a motorcycle offers much less protection than a car which makes any accident a greater threat to a rider. The NHTSA’s 2016 statistics report documents that motorcyclists are about 28 times as likely as a passenger car occupant to die in a motor vehicle traffic crash and are six times more likely to be injured. The NHTSA report determined that 25% of motorcycle riders involved in fatal crashes in 2016 were alcohol impaired – more than drivers of any vehicle type. They also determined that 37% of motorcycle riders killed in single-vehicle crashes in 2016 were alcohol impaired. Nearly half of all motorcyclists were killed in traffic crashes during the weekend versus the weekday and NHTSA estimates that helmets saved 1859 motorcyclists’ lives in 2016 and that 802 more lives could have been saved if all motorcyclists had worn helmets. For more information and statistics from NHTSA visit this website. According to the Idaho Transportation Department safety records, from 2013-2017, there were 2608 motorcycle crashes involving 127 fatalities. In 2017, the number of motorcycle fatalities increased by 18%. Of all the motorcyclists involved in crashes in 2017, 86% received some degree of injury. For more safety statistics from the Idaho Transportation Department, visit this website. 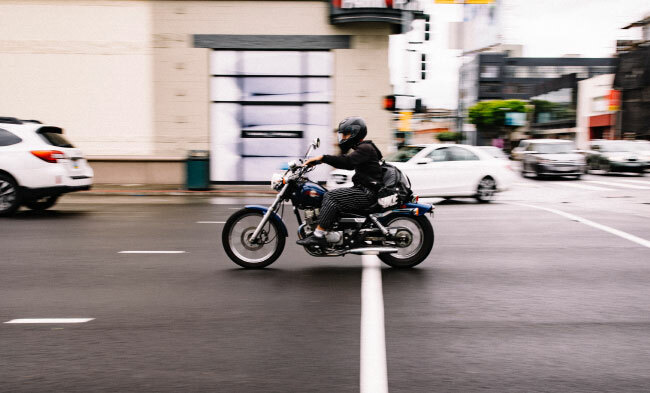 The motorcycle accident attorneys at Charles Bean & Associates, PLLC, understand that many more people are drawn to motorcycle riding for recreation, the thrill of the open road, and friends that can be made as members of a motorcycle club. The motorcycle attorneys at Charles Bean & Associates, PLLC, also understand the reality of why motorcycle accidents are increasing. Unfortunately, too many car and truck drivers aren’t aware of how to safely share the road with motorcyclists. A number of crashes are caused by vehicle drivers who have failed to recognize motorcyclists or respect their rights. If you are injured as a motorcyclist, you should call Charles Bean & Associates, PLLC, for a free consultation to see if we are able to help you recover for your injuries. The actions you take immediate after a motorcycle crash are very important to protect your right to a maximum recovery in your case. Contact the experienced motorcycle accident attorneys at Charles Bean & Associates, PLLC. Call us for a consultation as soon as possible following an accident. We can greatly improve your case by properly preserving the evidence and getting witness statements. It is critical that you talk to an attorney before speaking with the adjuster for the at-fault insurance.